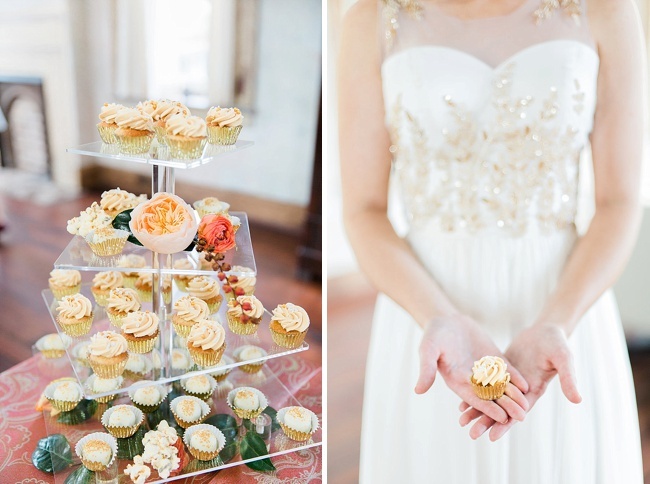 Let’s start the holiday week with a bit of inspiration, shall we? 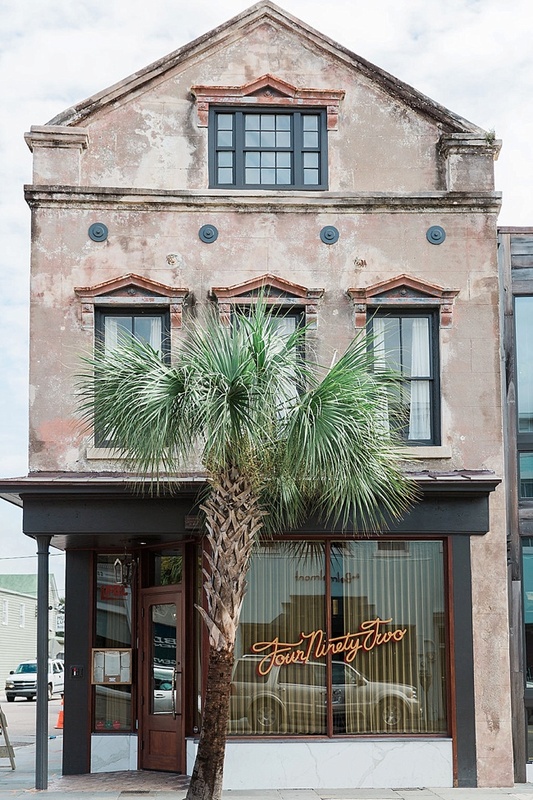 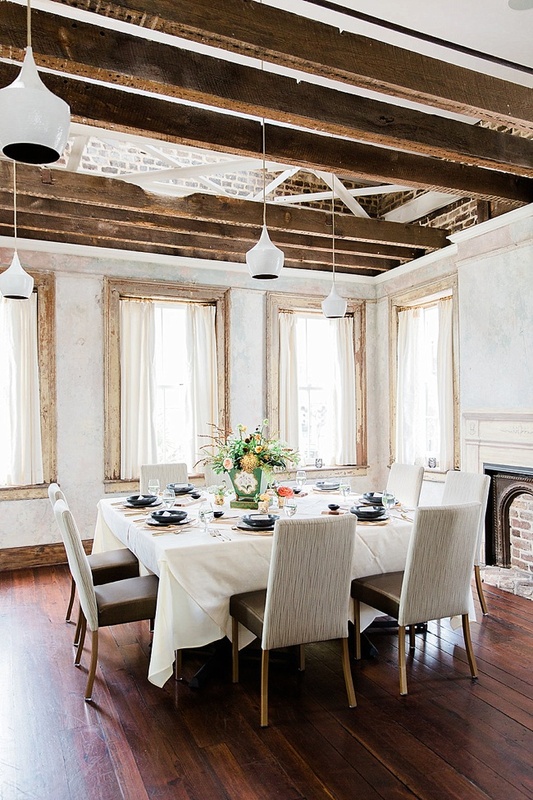 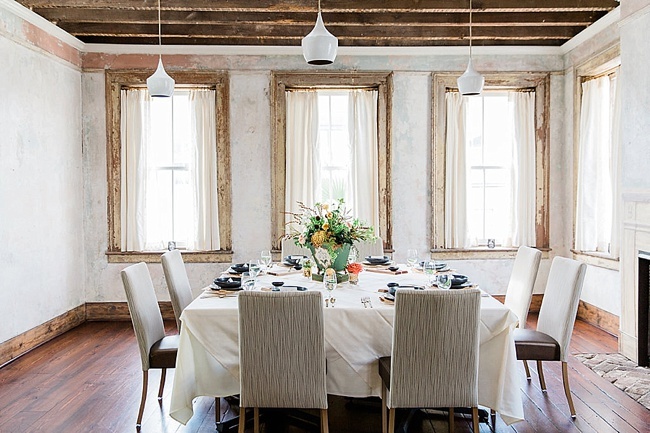 Whether you’ve dined in or just admired the décor while strolling King Street, Charleston’s 492 restaurant undoubtedly makes a grand impression. 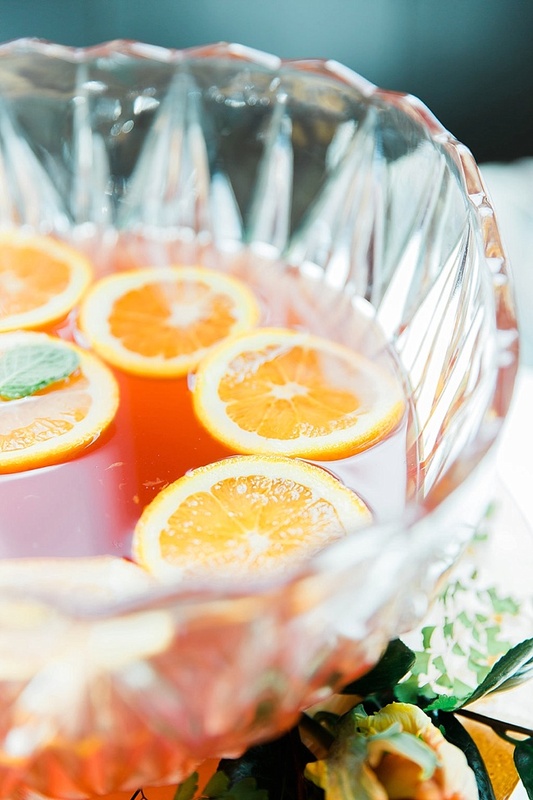 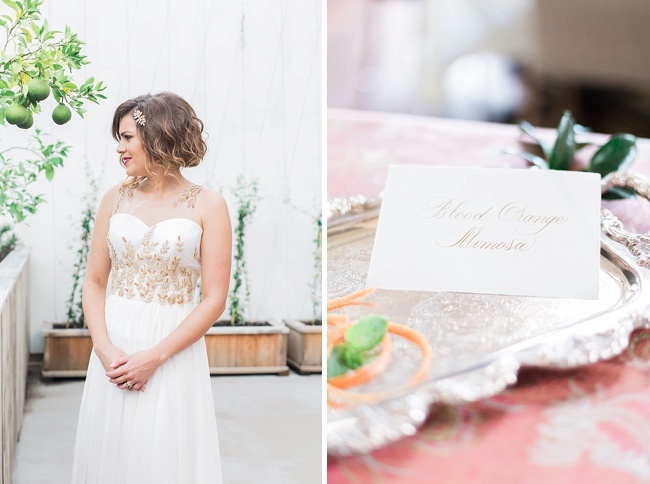 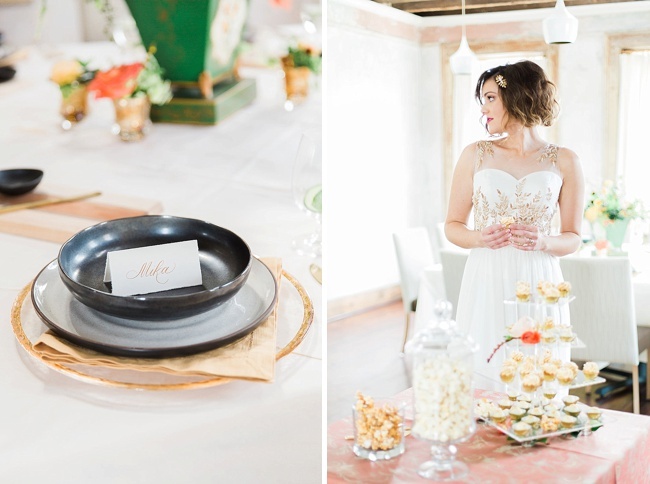 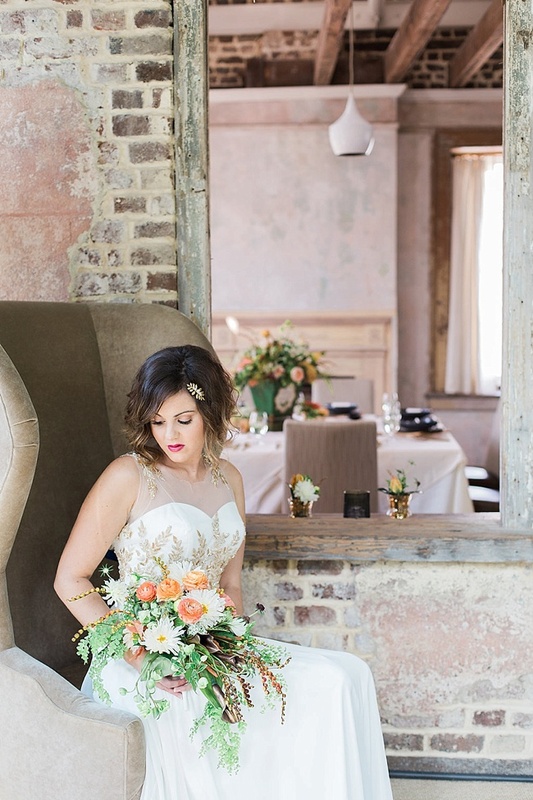 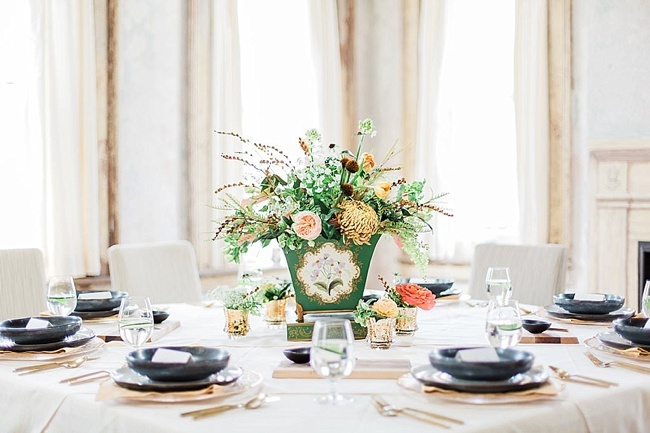 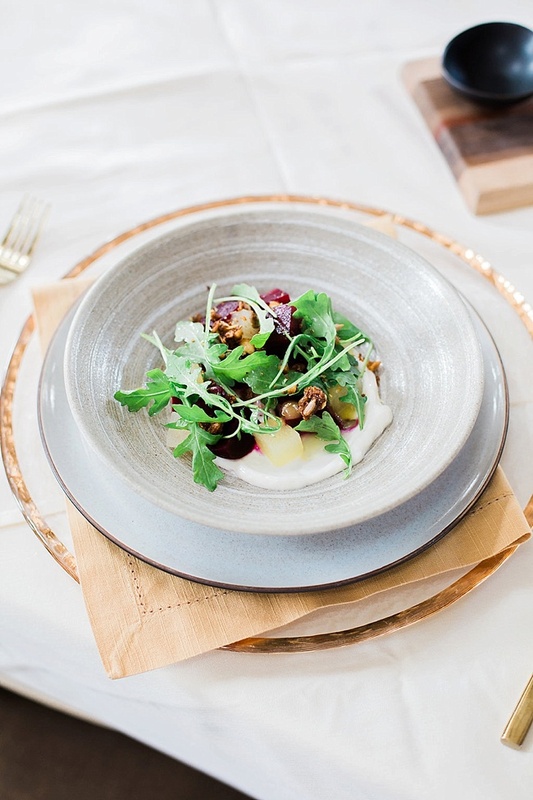 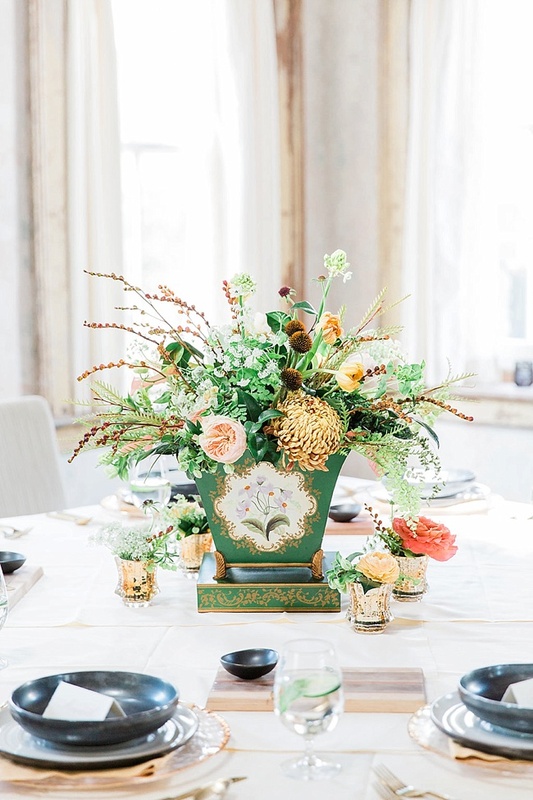 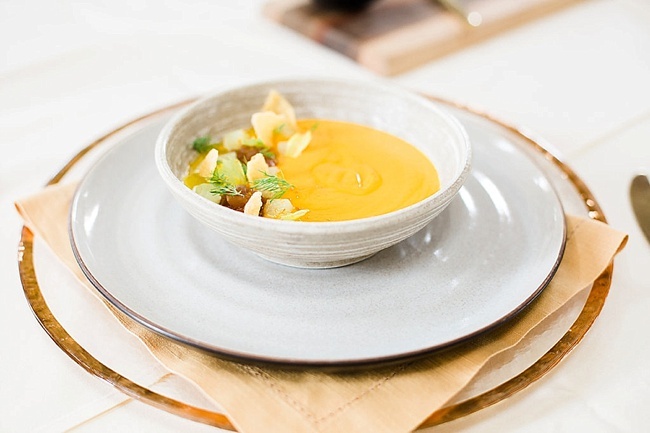 Today, we are lucky enough to show off the hotspot (which is available for events) thanks to this stunning autumn hued styled bridal luncheon captured by Judy Nunez Photography. 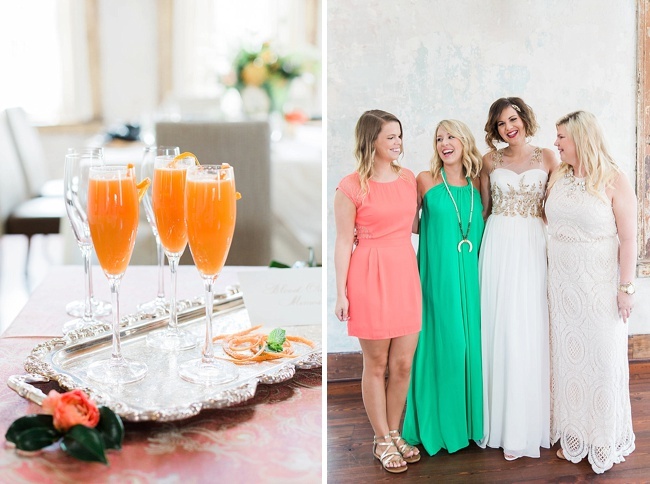 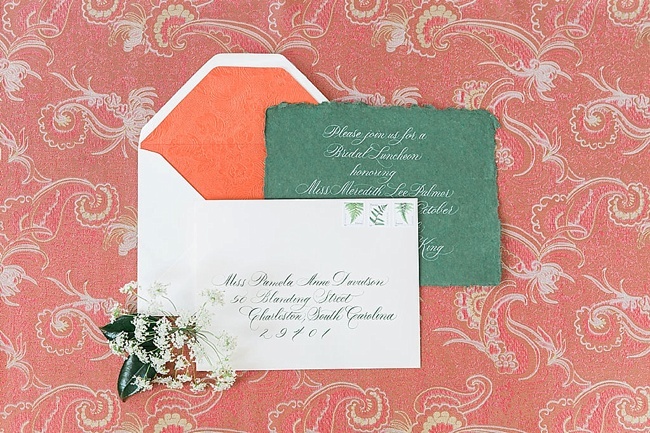 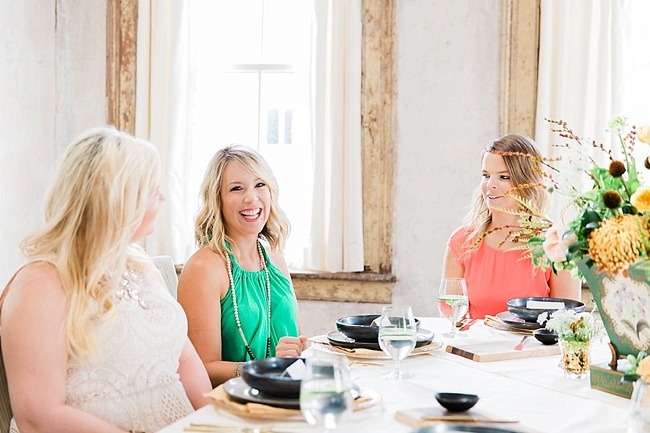 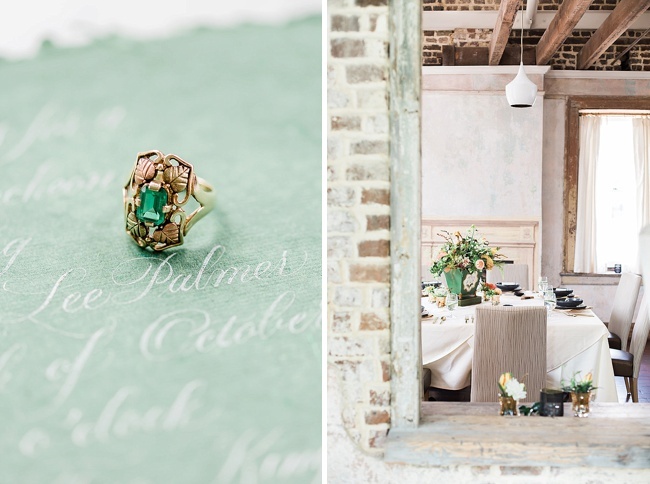 Persimmon, sage, and toasty orange ruled the scene, appearing in the invitation suite crafted by Penned by Palmer, arranged blooms by On a Limb Floral Studio, and the frocks worn by the models (who you may recognize as the lovely ladies of Sweetgrass Social). 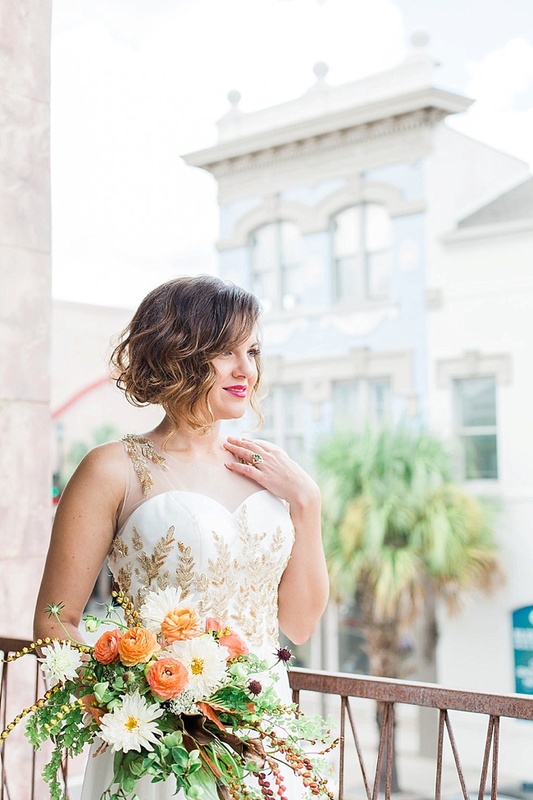 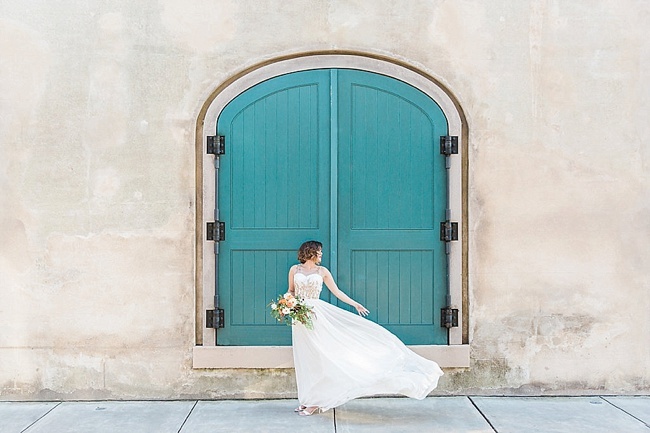 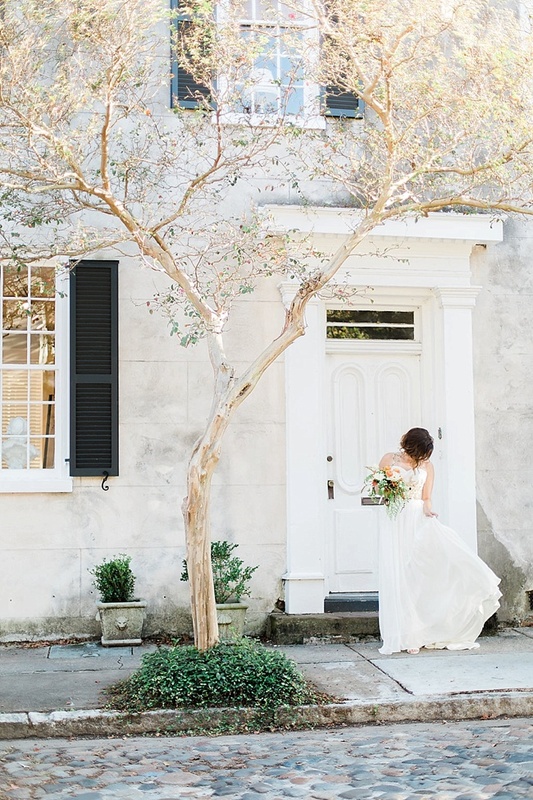 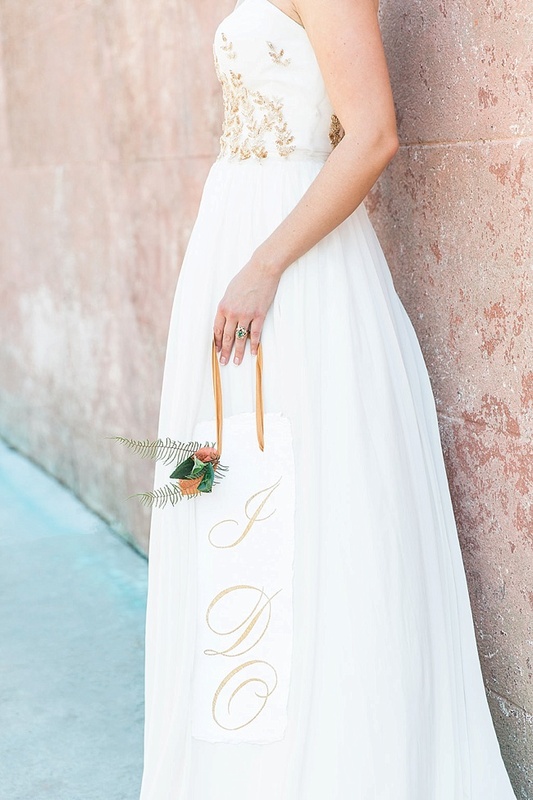 Gilded accents took over thanks to the model bride, who stepped out in a three-piece Garnish & Frill ensemble from Fabulous Frocks and a sweet, delicate hair accessory by new-to-Charleston Emma Katzka. 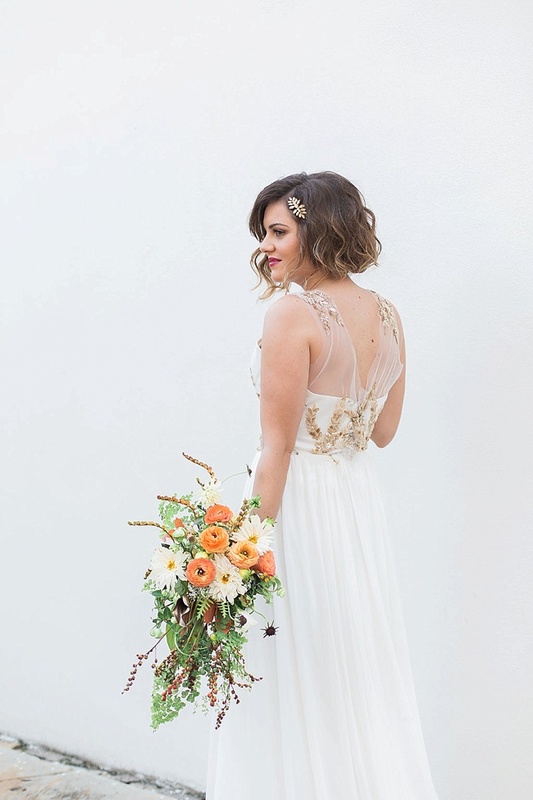 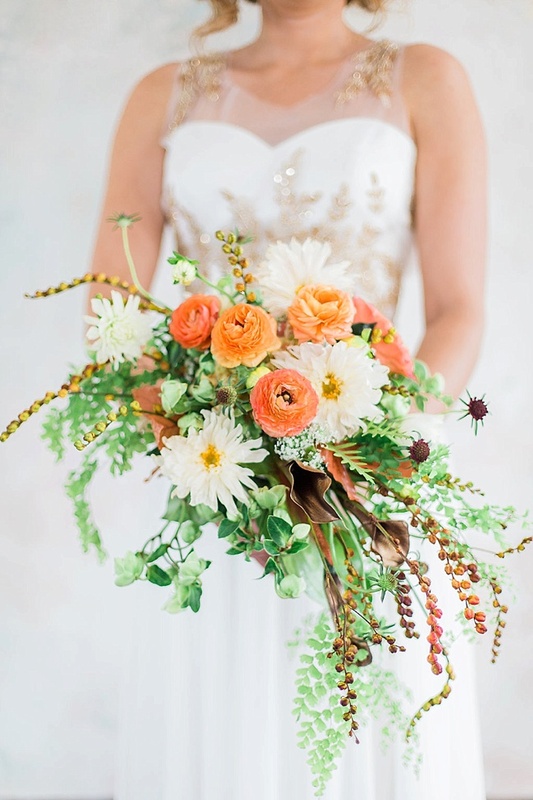 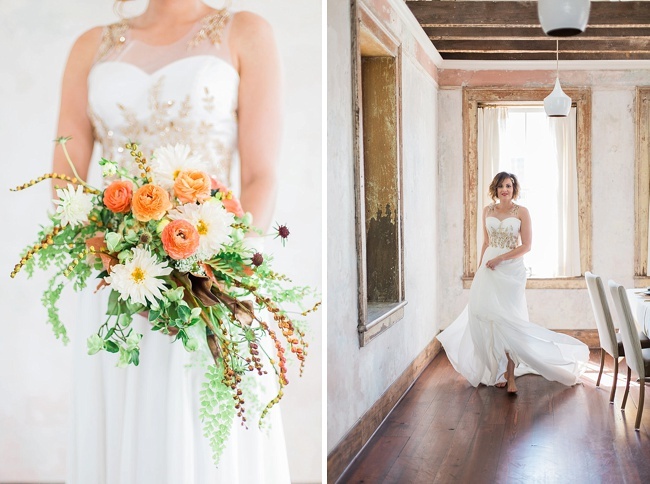 And check out that wild bouquet of hers—dahlias, ranunculus, hellebores, and ferns … just gorgeous! 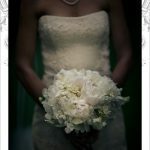 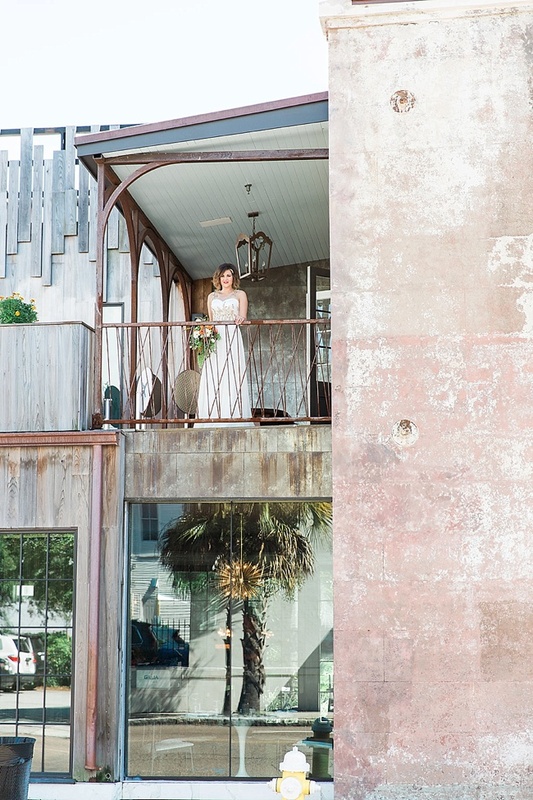 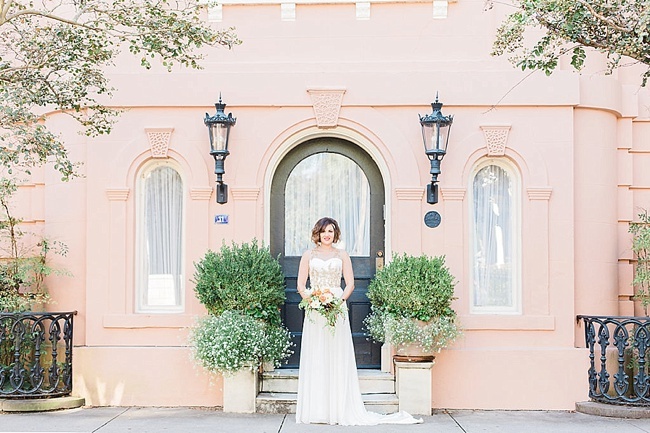 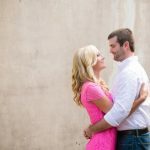 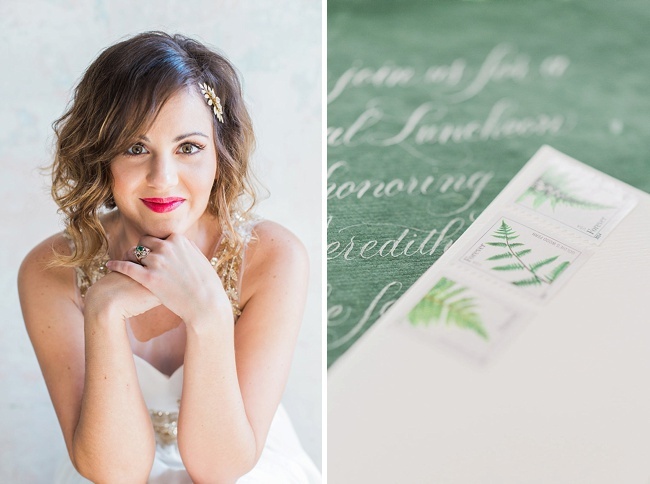 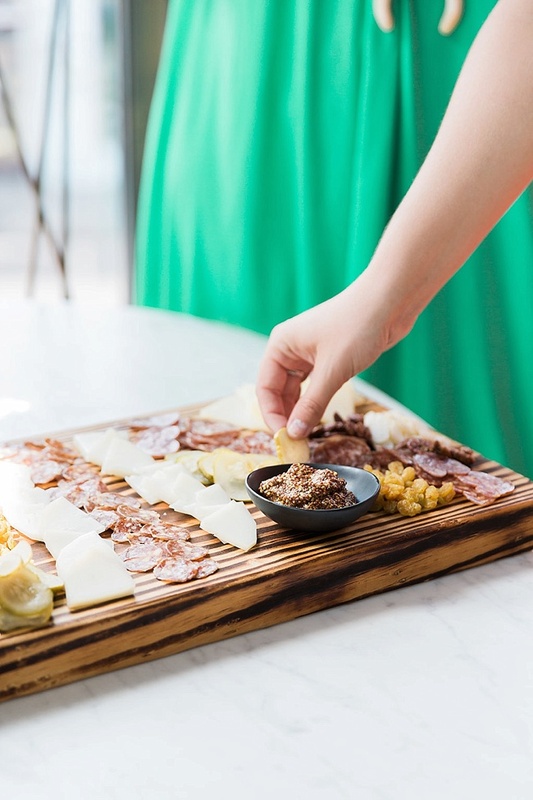 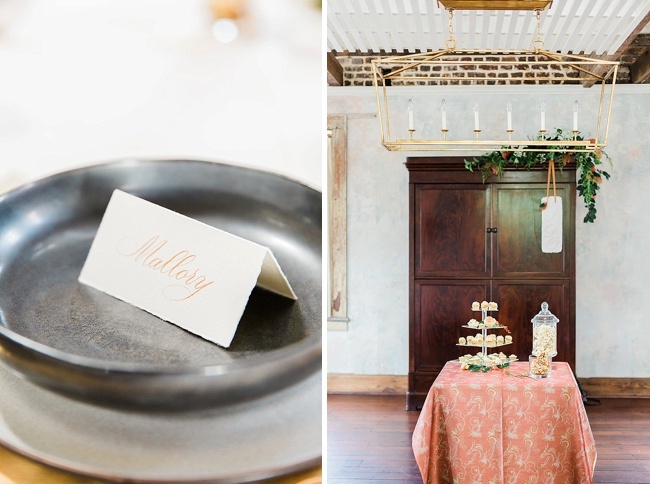 From the sunlit dining halls to the veranda, this shoot is the prettiest kind of proof that 492 is ripe for all manners of nuptial celebrations.